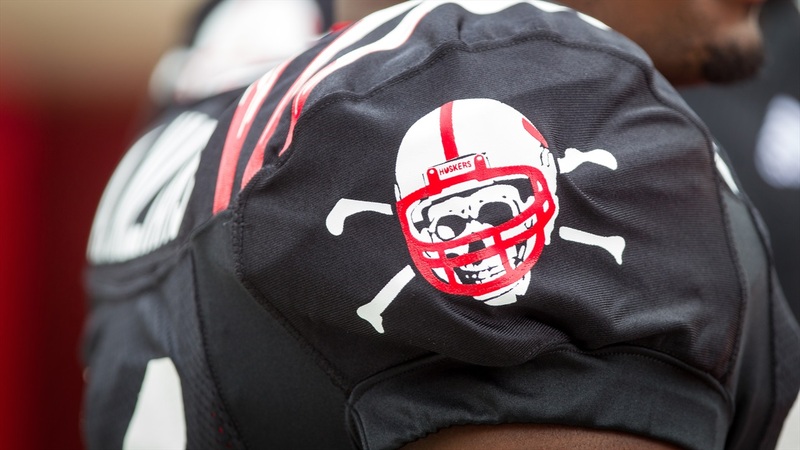 What Is Nebraska's Blackshirt Tradition Now? Zack Bowman understood, though some were perplexed by what he did. Bowman, a cornerback and senior co-captain on Bill Callahan’s final team in 2007, didn’t wear his Blackshirt to practice on the Tuesday following Nebraska’s 49-31 loss against USC. He didn’t wear it the next day, or the next. He didn’t deserve to wear it, Bowman said, because he wasn’t playing as a Blackshirt should play. Not that others on defense necessarily were. But the system was in place. If you were on the first-team defense, and that might include more than 11, you “earned” a black practice jersey. Those players were the Blackshirts. That’s how it worked. So there was no reason to criticize those who didn’t follow Bowman’s lead. The interpretation and statement were his alone. Four games later, following a 45-14 Homecoming loss to Oklahoma State, on the heels of a 41-6 loss at Missouri, all the Blackshirts were pulled – and Athletic Director Steve Pederson was fired. Nebraska wouldn’t have Blackshirts again until early November of 2008, when new head coach Bo Pelini finally determined they had been earned, 10 games into the season. Pelini’s departure from the defensive-starters-get-them approach to one by which they-have-to-be-earned was questioned by some, who wondered about his commitment to tradition. But that was precisely why he did what he did. “Blackshirts are earned on the field,” he said. Go back to the beginning of that tradition, the 1964 season, Bob Devaney’s third as head coach, when NCAA rules were changed to allow for two-platoon play. The passing of time has led to some uncertainty as to exactly when the Cornhuskers began wearing black contrast pullovers in practice. Some recall it happening in spring practice, others in the fall, the week before the second game at Minnesota. Devaney continued with first, second and third teams for the opener, a 56-0 victory against outmanned South Dakota. In preparation for Minnesota, however, Devaney and staff divided the team into offensive and defensive units. And to differentiate, he assigned colored pullovers. In all likelihood, backs coach Mike Corgan purchased the black pullovers at a local sporting goods store, getting a good deal, as the story goes, because the black ones weren’t selling. Corgan was noted for his frugality. Previously, when players were practicing on defense, they wore more traditional gray pullovers. But with the two-platoon system, defensive assistants George Kelly and Jim Ross decided to give the black pullovers to the first defense to motivate those on the lower units. Here’s an important point, however. The black pullovers were handed out before each day’s practice and picked up afterward. A player might have one on Monday and not on Tuesday. The black pullovers had to be earned at each practice. Kelly and Ross began referring to “Black Shirts” (often two words until about 1978) or “Blackshirts” to motivate the defense. The designation caught on almost immediately. And again, it was performance-based. Nebraska ranked No. 2 nationally in total defense in 1964, No. 8 in 1965 and No. 1 in 1967, despite a 6-4 record that reflected offensive inefficiency. So the Blackshirt tradition grew quickly. Street & Smith’s College Football Annual in 1969 referred to the Cornhuskers’ “always-tough defense.” The iconic Sports Illustrated cover before the 1971 “Game of the Century’ included pictures of Husker linebacker Bob Terrio and Sooner running back Greg Pruitt, face-to-face, under the headline: IRRESISTIBLE OKLAHOMA MEETS IMMOVABLE NEBRASKA. The Cornhuskers were characterized by their defense. From 1964 through the 2001 season, Nebraska ranked in the national top 10 in total defense and scoring defense 21 times. The Cornhuskers have ranked among the nation’s top 10 in all four major defensive categories five times (1967, 1984, 1994, 1996 and 1999). And, of course, defense played a significant part in Nebraska’s five national championships. Nebraska ranked third nationally in rushing defense, fifth in total defense and 12thin scoring defense in 1997 national championship season, Frost’s senior year. Rush end Grant Wistrom and tackle Jason Peter, the defensive co-captains, had opted to return for their senior seasons rather than declare for the NFL draft. Both earned All-America recognition, Wistrom for a second time – as well as the Lombardi Award. They drove the defense, held everyone accountable, to a standard. That standard is the embodiment of the Blackshirt tradition. Bowman, like Frost, understood. He wasn’t disrespecting the tradition by discarding his No. 1 Blackshirt. Rather, he was acknowledging it.